A while back, last year actually, I wrote a blog post on how you can Install CakePHP on Windows Azure Web Sites using the App Gallery. At Build 2014 we introduced a new Preview Portal which enables much more to an application owner including in-place billing information, application analytics and a whole new way to visualize your cloud experience. In this thread, I’ll show you how to create a new CakePHP application via the Preview Portal. If you’re an experienced CakePHP Developer, you might want to check out Sunitha Muthukrishna blog post on using CakePHP’s Bake Console Tool on Microsoft Azure Websites. From the Start Board, select the Azure Gallery. This will open the App Gallery Blade, where you can select from a list of categories. Select Web, then CakePHP. 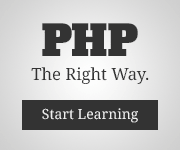 This will start the CakePHP installation, select Create. Thus begins your Journey. You’ll need to select your Hosting Plan. For this demo, I created a free site. Then configure the application, by clicking on Web App Settings. Set the Security Salt and Cipher Seed. Then select the datacenter location you’d like to deploy your application to. Click OK to finish the Web Site Configuration and move on to create the Database. Accept the Terms for the ClearDB database. Select a different subscription, if required. Then click Create. Your site has started to deploy and should be ready for you to start creating within seconds. You can monitor your application, change settings, or set up source control from your new site. Keeping regular backups is important for anything on the web, nay technology, especially for mission critical applications, enterprise applications, or keeping your meme generator application from Build 2014 [not sure what I’m talking about? Watch the Day 2 Keynote]. In this example, I’m actually going to outline how I keep a backup of my blog, yes the one you’re currently reading right now. It is running on WordPress and represents a good portion of my journey into a career in technology, that means it’s countless hours of my time that I continuously have the opportunity to read what I’ve done in the past after doing a quick Bing search on something I’m currently working on. Take a Backup of a Web Site. In the Microsoft Azure Management Portal select the Web Site you wish to backup. As you can see in the image below, I run my site in a Shared Web Site. This provides me with enough resources for people navigating my blog to get an excellent experience without it being too heavy on my pocket book. The backup feature of Web Sites only works in Standard, so for now, I’m going scale my site to Standard. This is as simple as clicking on the Standard Button, then clicking on Save in the command bar at the bottom of the screen. Once I click on the Save button, I am prompted to let me know that scaling to standard will increase my costs, but I’m not too worried as I’ll be scaling back down to shared again shortly. After the scaling task finishes, I’ll be able to use the form in the Backups navigation to select my storage account I wish to have my backups save to, the frequency in which they are saved as well as a database which is linked to my Web Site as a Linked Resource in the previous tab. So I’ll select my favourite storage account. And include my ClearDB database which is linked to my site to be backed up as well. Then I’m only one click away from knowing all my archived hard work is saved for me in my storage account. After the backup is done, pay attention because this is important, I go back into the Scale tab and scale my site back down from Standard to Shared. This moves me back down into the lower billing range that I am comfortable running my site in. What does Microsoft Azure Web Sites Backup? In the image below you can see two files which identify a backup. The first which is an xml file describing the site that was backed up at a high level including the custom domain, web site service domain as well as the name of the database which was backed up. The second file is a zip file which contains a backup of your site which I will outline in more detail below. Here is a quick snapshot of the contents of the zip file: a fs folder, a temp folder, a meta file and a file named the same as your database. FS – if you haven’t already guessed it, FS stands for File System. This retains a snapshot of the file system of your web site at the time the backup was taken. This includes both the site and logFiles folders so you have access to anything you would need. Temp – My temp folder was unused. Meta – This is an xml file which describes all aspects of your website including but no limited to Custom Domains, Configured SSL Certificates, App Settings, Connection Strings, Default Document settings, Handler Mappings (for custom FastCGI Handlers); Remote Debugging, Web Sockets. I could go on, but I believe you get the picture, if it’s something you set in the portal for your web site, it’s backed up in this file. Database Name – In my case, I had a MySQL database selected, so this file is a MySQL dump file. This can be used to completely restore my database from schema to data. During preparations for the Web Demo, presented by Mads Kristensen at Build 2014 [watch the day 2 keynote], it was necessary to stand up multiple environments to do development, testing and dry runs of the presentation. The quickest way to accomplish this was to script out the environment provisioning with PowerShell and the Microsoft Azure PowerShell and Cross Platform Command Line Tools. In order to automate your Microsoft Azure Environments, it’s helpful to download and install the following tools. Considering the size of our environment, the number of stamps required and the need to be agile to changes in the environments it was necessary to build out an environment setup script for our Azure resources. Storage and Web Sites are easy to automate with PowerShell or the Cross Platform Command Line Tools. However, there isn’t currently a way to automate Traffic Manager without programming directly against the Microsoft Azure Service Management API. To be able to support the creation of multiple assets, using Hash tables enables a unique value for the Web Site or Storage account, while still being able to store the region for creation. This fulfills the minimum requirements for creating an Azure Web Site, or an Azure Storage Account. Leveraging a PowerShell cmdlet, the previous environment is deleted in the begin function, then the environment is rebuilt in the process function. Service creation is an asynchronous action, so we took advantage of Jobs in PowerShell to handle creation in background threads. If additional configuration is needed on a service, the Job is waited upon until completion, before additional service calls are preformed on the service. The Environment Automation Script takes care of the heavy lifting, while the Stamp automation script is responsible for describing the resources required in the Environment. First we must register the environment automation script so that it can be called within the same process that is executing our stamp automation script, then describe the stamp in variables then pass it to the environment setup script.